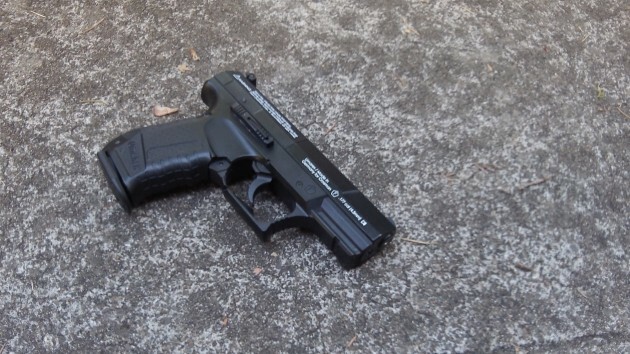 California is trying to do something different about look-alike guns that are sometimes mistaken for the real thing, which has led to tragic results. But even if Oregon did the same, it would not prevent incidents like the police shooting and wounding of a suspect near Albany last week. Press reports in California said the legislature in Sacramento last week had passed and sent to the governor a bill requiring some air guns to be either made entirely of translucent material or manufactured in various bright colors. This was in response to several cases, including the death of a 13-year-old boy whose airsoft rifle had been mistaken by police for a real AK-47. In short, this is a minor law change that does not affect most of the air guns modeled on firearms, and it will not make any difference in the cases where criminals wave around air guns as if they could shoot bullets. Those things are made to look like firearms because that’s what the buyers want. They want something realistic for practice or target shooting, and sometimes for pest control even though a rat probably could not care less where the pellet that hits it came from. In the Albany incident, in the middle of the night early on Aug. 28, a woman had been fleeing from police in a stolen car. When she finally stopped near a gas station and store off the freeway, she ran toward the store waving a gun. The image of it released by the police makes it appear to be a pellet-firing semiautomatic of the 1911 style. It is black, but the color would have made no difference. Modern firearms come in colors including pink. Black paint takes care of any color issues. Anybody in their right mind isn’t going to wave any kind of device that appears to be a firearm at the police. Paid vacation for shooting someone? Not much of an incentive to use restraint.